New York design office Spagnola & Associates faced the challenge of designing their new office space. They created a 20′ wide dimensional wall to stimulate ideas and complete the office. 2804 pencils were hammered into pre-drilled holes in the panels. 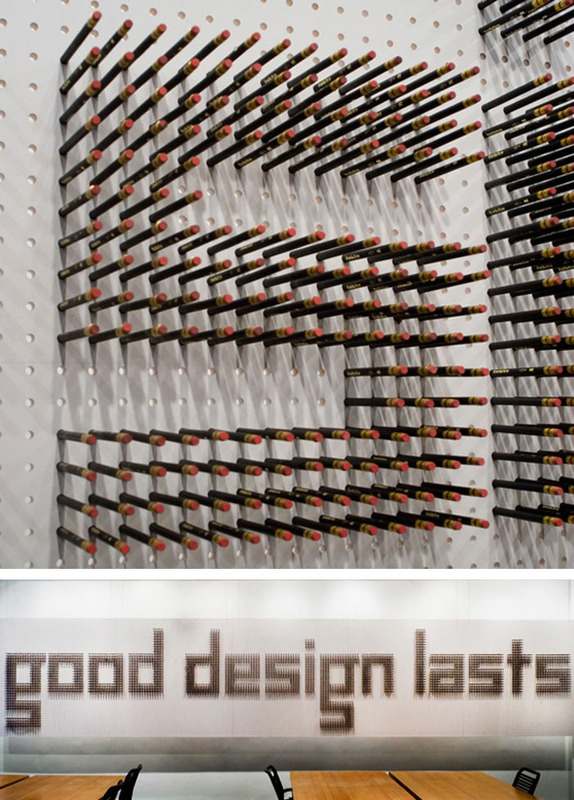 The completed wall reads, in custom designed letters, “good design lasts”. The entire process is documented in the stop motion video above. 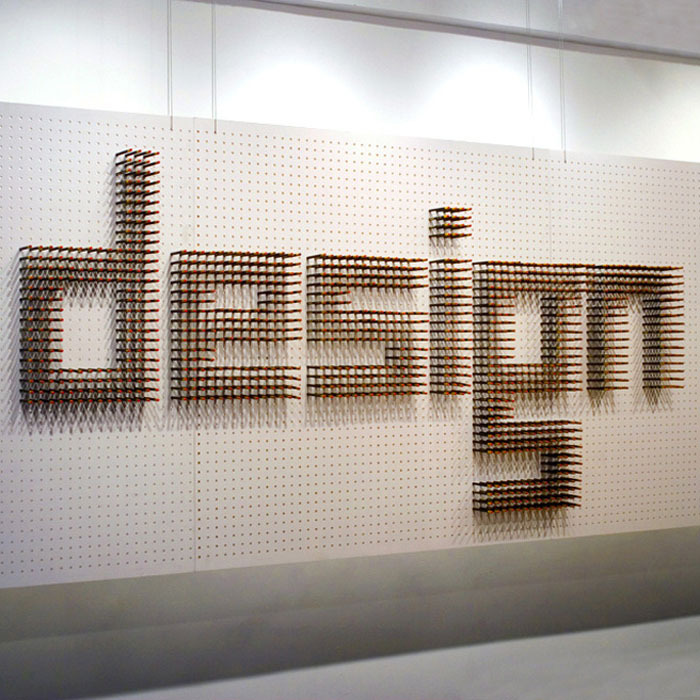 This entry was posted in Architecture, Fun, Graphic Design, Typography. Bookmark the permalink. Good design : ) I wish it will last !